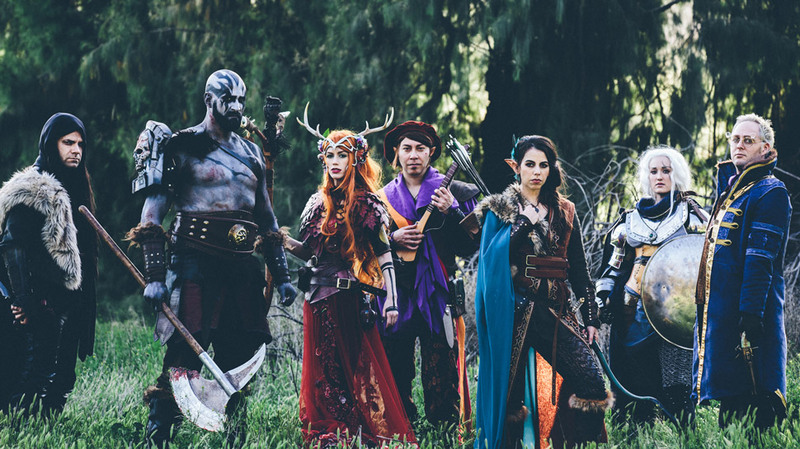 So it is no secret that I have been super into Critical Role a Dungeons and Dragons game shown on Twitch every Thursday night. In the show a bunch of nerdy voice actors sit around and play their game which has been going on for about 5 years. These actors have been prevalent in their careers and many are in shows and video games. They speak and often stay in character for much of the show which plays out much like the radio dramas of the 40s except with improvisation added on top of it. The ring leader of the entire show is Matthew Mercer, who as the show’s Dungeon Master, has the incredible task of making the world come to life with thrilling story hooks and wondrous and detailed descriptions. These wonderful actors have inspired me to start my own campaign of D&D. After watching Matthew Mercer’s DM Tips show on the Geek and Sundry YouTube page I began to scour for more resources on how to be a great Dungeon Master. I stumbled across Matthew Coville’s YouTube and was hit with a cornucopia of wonderful information. I consumed several hours of his wonderful videos learning more and more how to do what I saw Matthew Mercer do seemingly effortlessly. Which leads me to running my first session. I used some of the advice I had learned from the two “Matt’s” and created a small village for my players to begin in. Then I used the resources from Matthew Coville’s YouTube page to plan my encounters. He has wonderful pre-generated supplements for the Tavern like menu’s and people talking down to story hooks like rewards for Goblin pieces and a Blacksmith’s daughter being taken by goblins. My first time in the DM’s chair did not run so smoothly. There are many things that I need to keep track of. I decided as I was going that many times, instead of having all of the goblins I payed interacting as individuals, I would have them all go at once for combat purposes. I also used some of the average statistics for some of the monsters, so that I could keep the flow of combat high, in order to keep the players engaged. There are many challenges to running every character that the players encounter. The players asked me what a character was wearing, which was one thing that I did not have written down and had to improvise. Improvisation is much like a muscle: it gets stronger the more you use it. I took an improvisation class in high school, and that was the last time that I actively improvised to produce a creative product. In many ways I use improv skills at work as a teacher, however it is very different. At least I feel it is… In many ways I feel that I am more comfortable improving to students because I simply know more about a topic than they do. I can usually figure out the answer faster than they can, and even if I can’t “I don’t know, but I’ll look it up,” is an acceptable answer. In the case of D&D, I feel like it is my responsibility to be omnipotent when it comes to this world that I have created, when in reality, I know a lot about a small area. If the players decide to explore an area that I have not designed yet, what do I do then? Much of my feeling can be summed up in a mechanic of a game I played as a kid. I used to play “Heroes of Might and Magic,” which was a turn based strategy game. 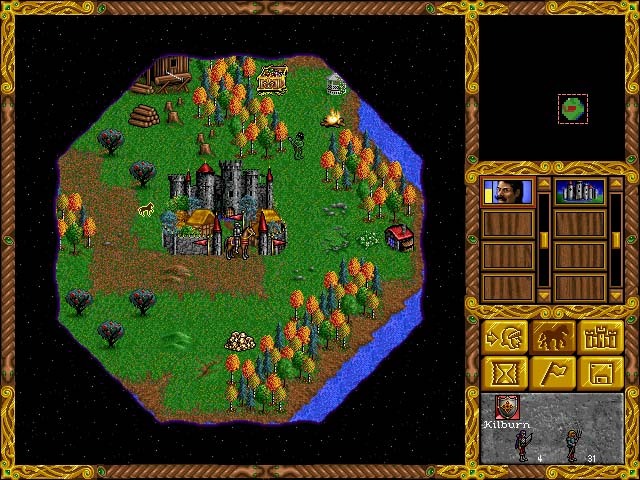 When a new game was started, you could see a small portion of the map around your town, and as your Hero moved around the map, more would be revealed. This is very much how I feel about the Realm of Azmar. We are continuing the story this Saturday! I have done SO much world building since then. I am really excited for my players to experience this world that I have created for them. I am also really excited for the deeds that they are going to perform that will either temporarily or permanently change this world for better or for worse. I am interested in doing a vlog debrief after each session. That will be posted over on my DadtheGeek YouTube channel. Also please checkout wethecommittee.wordpress.com and our Stream at twitch.tv/wethecommittee as my friends and I stream our favorite video games. Join us for random fun adventures and be sure to keep up with us on all of our social media accounts. Follow and Like me and The Committee on Facebook and twitter. This entry was posted in Games, Geeky Ramblings, You Know You're a Geek Dad and tagged 1st time, D&D, dragons, dungeons, gaming, Tabletop. Bookmark the permalink. ← Sea World…What is it Good for?